- These contract terms apply to all transactions or contracts made between a customer (“Buyer”) and OBJEKTEN S.A. (hereinafter "OBJEKTEN"). By making an order, the Buyer accepts the following contract terms. - Any exception from the following terms is valid in case of a written convention signed by an authorised representative of OBJEKTEN. - In addition to the general conditions applicable to all contracts (point A below), there are extra conditions that apply when goods are sold online to end-users (point B below) or sold to a professional (point C below). - OBJEKTEN distributes information leaflets, practical instructions and other information; the following contractual conditions always take precedence over such publications. - All texts, illustrations, graphics appearing on the website are, together with their layout, protected by intellectual property rights and belong exclusively to OBJEKTEN. - Without a prior written permission by OBJEKTEN, the Buyer is not allowed to copy pictures, designs, brochures, DVD’s and other material or to use the information displayed on its internet site. Permission by OBJEKTEN does not affect the rights of the author of the information provided. - OBJEKTEN retains the rights and powers it accrues on the basis of intellectual and industrial legislation and regulations relating to all the goods or services it supplies, insofar as these rights do not belong to any third party. - The Buyer shall not have the goods supplied by OBJEKTEN copied elsewhere, or manufacture imitations that differ in only minor details, or become directly or directly involved in this. - Copyright or any other intellectual property of sketches, designs or models in whatever phase of elaboration these are and have been delivered to or shown to the Buyer, remain the full property of OBJEKTEN and may not be used otherwise that agreed in writing and solely for that specific purpose. Any permitted use does not mean that intellectual property rights have been transferred. - Minor changes can occur in shape or colour depending on the material the good is made of or design of the good. - Depending on the materials used for its manufacture, the original goods may change in the course of time, due to environmental influences (UV – light and other for lacquered goods, colours, and fabrics). - The product illustrations on the website are not part of the contract’s scope. - OBJEKTEN shall always use commercially reasonable efforts to deliver the services or goods within the delivery term. However, unless explicitly agreed otherwise in writing, delivery dates communicated in or acknowledged by OBJEKTEN are approximate dates. OBJEKTEN shall not be liable or be in breach of its obligations, when delivery is made sooner or later than expected. - Unless agreed otherwise, the costs of the delivery are borne by the Buyer. - OBJEKTEN may postpone any delivery in the case of production problems affecting the quantity of goods or the quality of goods produced. If such delay last longer than 3 (three) calendar months, either party may cancel the order. OBJEKTEN is not liable for any losses, including lost profits or savings borne by Buyer. 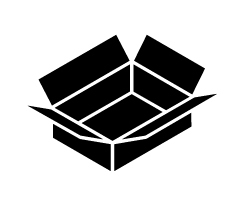 - OBJEKTEN is entitled to partial delivery of the goods or services. - When the Buyer fails to take delivery of the goods or services, or fails to provide the information or instructions to enable delivery, he/she is fully liable to OBJEKTEN for all damages and losses suffered by OBJEKTEN, such as (but not limited to) transportation costs, extra storage, handling and insurance. Regarding re-delivery, OBJEKTEN may demand prior payment of all aforementioned costs. - Upon delivery, Buyer shall check the condition of the packaging and, if this has any defects, Buyer shall, in the presence of the carrier, open the packaging and check the goods for damage. - If the goods are damaged Buyer shall refuse delivery of the goods and have the carrier take it back. It shall notify OBJEKTEN immediately by e-mail. The e-mail shall include a picture of the damaged goods and packaging at delivery. - On each unpaid amount an interest of 12 %/annum with a minimum of 50 € shall be due automatically and without the necessity of a prior notice. - In the event that collection is necessary, all collection costs are payable by the Buyer. These costs are equal to 10% of the amount owed with a minimum of EUR 500 and in the US $ 650. - If the debt collection involves court proceedings, then all legal costs, including legal advice and representation in court and out of court, as well as all execution costs, shall be borne by the Buyer. - Even if, in the opinion of the Buyer, the quality of the delivered goods or services is not in accordance with the agreed goods or services, this does not release him from the obligation to pay. - In the event of default by the Buyer, OBJEKTEN has the right to postpone any further deliveries, without being liable. Such right shall be in addition to, and not in lieu of, any other rights and remedies available under the Belgian law. - Any inappropriate, wrong manipulation or use of the product(s) causing damage or harm, whatever its nature, shall not involve OBJEKTEN’s responsibility. - Letter: Objekten Systems c/o SITIS sprl, Esperantolaan 3, 3300 Tienen, Belgium. - To be admissible any complaint with regard to invoices must be done in writing by registered mail within 10 (ten) days after the reception of the invoice. - to credit the Buyer the purchase price. - Defect goods may ONLY be returned to OBJEKTEN at OBJEKTEN’s expense after OBJEKTEN has given its prior written approval or OBJEKTEN has requested to return the defect goods. If the goods have not been returned within 15 (fifteen) working days, after OBJEKTEN has confirmed/requested the return of the defect goods, OBJEKTEN shall consider that the Buyer will keep the goods and has withdrawn his/her complaint. - Extra costs for mounting, dismounting or re-installation the replaced goods or goods taken back are fully at the Buyer’s charges. Without prejudice to any mandatory legal rules, the following applies. - Regarding goods delivered by OBJEKTEN: OBJEKTEN shall not be liable for any loss of profits or savings, loss of reputation or goodwill, indirect or incidental or consequential damages arising from or in connection with the sale of the good(s) or the use of these whether or not any claim is based on tort, warranty, contract or any other legal possibility, even in the circumstances that OBJEKTEN has been advised of any risks. - Regarding services rendered by OBJEKTEN: OBJEKTEN shall not be liable for any damages that arise from the use of services rendered by OBJEKTEN. - an amount equal to 50% of the purchase value in aggregate and cumulative. - the maximum amount covered by OBJEKTEN’s insurance for the type of damages. - ‘Force Majeure’ includes, in addition to the definition by law, import and export bans or controls by, or due to, any government or power, the failure of suppliers or service providers of OBJEKTEN to deliver on time or at all, suspension of work by, or a high rate of sick leave amongst the employees of OBJEKTEN or its suppliers. - In the event of Force Majeure, the obligations of either party are suspended until the situation of Force Majeure has ended. If the Force Majeure lasts longer than 3 (three) calendar months, then either party is entitled to terminate the agreement without compensation. - OBJEKTEN is also entitled to rely on Force Majeure if the situation of Force Majeure begins after OBJEKTEN should have fulfilled its obligations. - In case that Force Majeure occurs when OBJEKTEN has partly fulfilled its obligations under the agreement or is still able to do so, then OBJEKTEN is entitled to invoice for all the parts of the agreement it has complied with or will comply with. In such a case Buyer is obliged to pay as if it were a separate agreement. - Belgian law is the only applicable law in case of litigation and if no amicable agreement has been reached. - Only the Law Courts of Brussels have legal competence, regardless of the place of delivery and/or residence of the customer. - In case that one or several clauses of General Conditions was/were void or not enforceable, the validity or applicability of the other clauses will not be affected. As the case may be, the parties will negotiate the void or inapplicable clause in good faith, to ensure that the new clause will match as closely as possible, from a business point of view, the void clause. - The version that is binding is the latest version published on WWW.OBJEKTEN.COM at the time the agreement is entered into. In addition to the GENERAL CONDITIONS listed above, each Consumer shall be subject to the Specific Conditions I, as listed below. - The personal data and information provided by the Consumer when placing the order must be accurate. - By validating his/her order on the website the Consumer acknowledges that he/she has read and accepted the conditions (general and specific) without reserve, and renounces to take advantage of his/hers. - By placing an order the Consumer acknowledges that he/she is over 18 years old. - The Consumer commits to carefully read and respect the instructions provided with the goods. - By validating his/her order, the Consumer is irrevocably committed to buy the selected goods. - The contract between OBJEKTEN and the Consumer is considered to be in force from the moment that the Consumer receives a confirmation of the order he/she has made and the payment has been accepted. - The transfer of ownership will take place as soon as the contract has been enforced. - OBJEKTEN has the right to amend the prices of the goods. The (retail) price in force corresponds to the price indicated on the website when the order is placed. - The prices indicated for each product are in Euro and are VAT inclusive. The applied tax rate is determined by the delivery address. - This price does not include processing and delivery costs. These costs are invoiced as supplements and are clearly indicated before the final validation of the order is made. Any other costs pertaining to the order, such as connection or communication costs shall be borne by the customer. - Payment will be made online with a debit or credit card and for the entire amount. - Online payment is made via secure “SSL PAYMENT”, a programme provided by Ogone. The latter is approved by the Central Service for Information System Security, and complies with current banking regulations. Ogone’s encryption process ensures that the information provided by the customer will be treated securely. - An order is only considered valid once payment has been accepted. - The data recorded by the payment system will constitute proof of the transaction(s). - Fraudulent use of the payment system shall not involve OBJEKTEN’s responsibility, who will initiate legal proceedings against the fraudulent user. - The Consumer has the right to cancel his/her order without penalty or stating of reason, provided that the Consumer gives notice within 14 (fourteen) working days from the day the goods have been delivered. - The Consumer must notify his/her cancellation by registered mail with acknowledgement of receipt, sent to: Objekten Systems c/o SITIS sprl, Esperantolaan3, 3300 Tienen, Belgium. - The right to cancel does not apply if products have been used or damaged. - The Consumer should return the order in its original package and at his/her own expense. In case the Consumer has not returned to OBJEKTEN the items of the cancelled order within 14 (fourteen) working days from the day the cancellation has been notified, OBJEKTEN shall consider that the Consumer has decided to keep the goods and has withdrawn his/her complaint. - OBJEKTEN warrants that under normal use, the goods shall, for a period of 24 (twenty four) months from the date of delivery, be free from defects in material or workmanship. - The warranty mentioned here above, is considered void if the alleged defect is found to have occurred as a result of environmental circumstances, misuse, use other than normal use in respect to the characteristics of the good, neglect, improper installation, accident, improper storage, or repairs or modifications made without the prior written express consent of OBJEKTEN. - OBJEKTEN complies with current Belgian legislation on privacy and data protection. Personal data registered when placing an order will not be disclosed to third parties unless the customer has given his/her express consent. - OBJEKTEN can use the data for internal purposes such as sales & marketing actions and analysis. In this chapter: “Specfic conditions II”, the term “Professional Buyer” designates an architect or a retailer who buys OBJEKTEN goods or services in the context of its core business. In addition to the GENERAL CONDITIONS listed above, each Professional Buyer shall be subject the Specific Conditions II, as listed below. - The contract between OBJEKTEN and the Professional Buyer is considered to be in force from the moment that the Professional Buyer receives a written confirmation (eg: e-mail) from OBJEKTEN. - If the delivery date is exceeded, the Professional Buyer is still obliged to take delivery of the goods or services. - OBJEKTEN has the right to amend the prices. - The price in force corresponds to the price as indicated on the offer made by OBJEKTEN (pro format) to the Professional Buyer. - The prices indicated on the wholesale price list for each product are in Euro and are VAT exclusive. The applied tax rate is determined by the Professional Buyer’s country of residence. - This price does not include processing and delivery costs. Unless agreed otherwise, these costs are invoiced as supplements. - If a discount is granted for the purchase of a certain quantity or range in an order, OBJEKTEN is not obliged to apply such discount if fewer or different goods are actually ordered. - Any invoice pertaining to the sale of goods must be paid on OBJEKTEN’s bank account upon receipt. For the avoidance of doubt, each invoice will be paid immediatly and before delivery. - The remaining at the end of the mission. - If fewer goods are delivered than invoiced, the Buyer must pay an amount corresponding to the value of the delivered items (including taxes and charges). The remaining will be paid when the additional item(s) will be delivered. - All goods delivered remain the property of OBJEKTEN until the Professional Buyer has fulfilled its obligations to OBJEKTEN in full (eg: Payment). If any invoice remains unpaid, OBJEKTEN’s retention of title shall also cover all goods previously delivered which have been paid for by the Professional Buyer. - The Professional Buyer undertakes to keep insured the goods subject to the retention of title against fire, explosion, or water damage, as well as against theft. On OBJEKTEN’s demand, the Professional Buyer shall provide a copy of the insurance policy, as well as ensure that the rights under the insurance policy covering the goods subject to the retention of title shall be transferred to OBJEKTEN or that OBJEKTEN is subrogated in these rights. - OBJEKTEN warrants that under normal use, the goods shall, for a period of 12 (twelve) months from the date of delivery, be free from defects in material or workmanship. - The warranty mentioned here above, is co­nsidered void if the alleged defect is found to have occurred as a result of environmental circumstances, misuse, use other than normal use in respect to the characteristics of the good, neglect, improper installation, accident, improper storage, or repairs or modifications made without the prior written express consent of OBJEKTEN.